Angali. 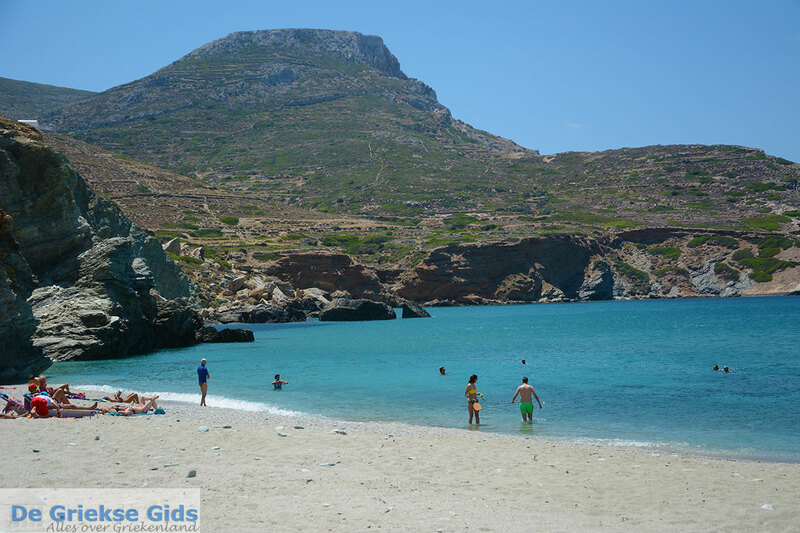 Angali or Agali is a beach in the west of the island of Folegandros. In Angali there is a beautiful sandy beach and a small harbor where you can see many fishing boats and tourist boats. 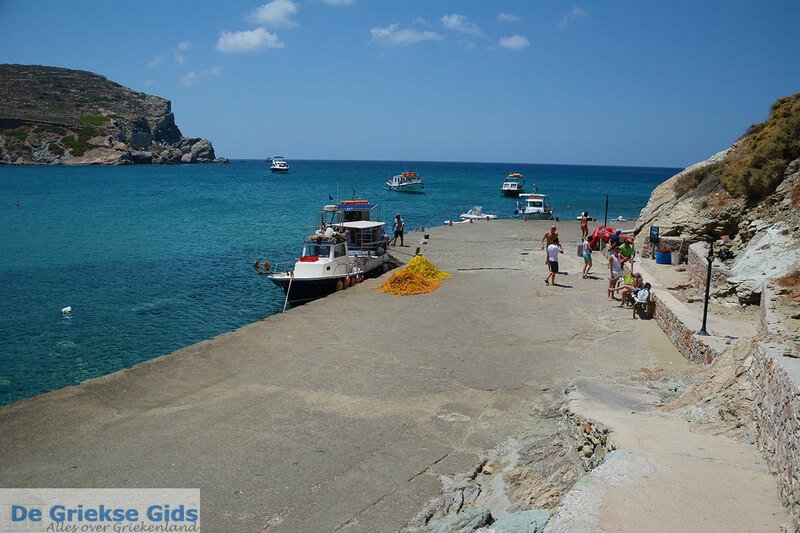 It is a fairly deep bay, which can accommodate large yachts. During summer you can see expensive ones moored here. On the slopes right and left of the bay, are all kinds of restaurants, cafes and hotels. 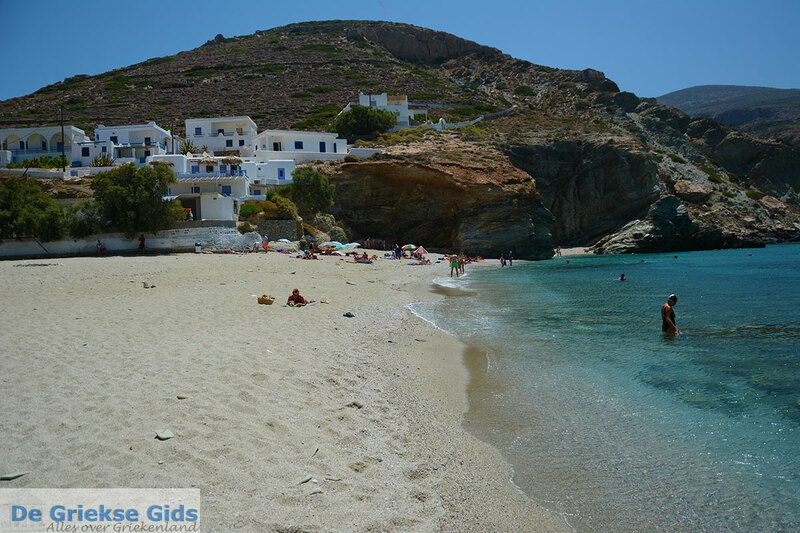 Next to the larger beach (southern) there is a smaller beach which is only accessible by boat. 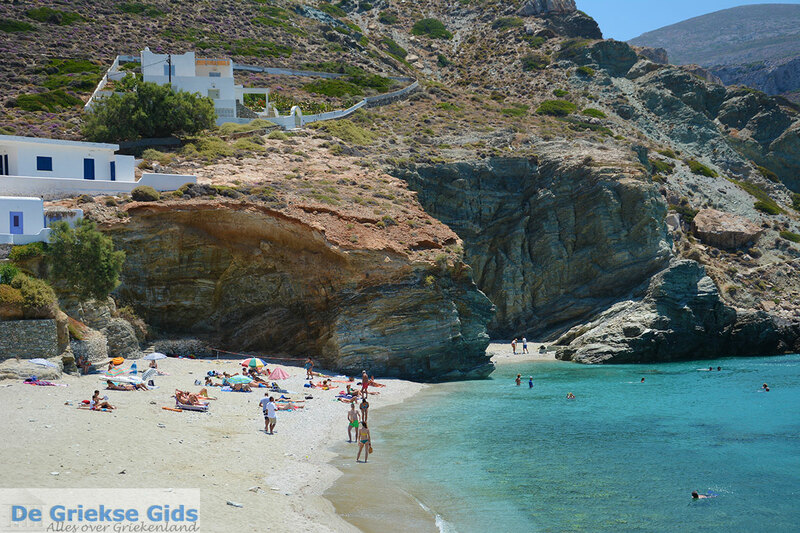 This beach is surrounded by high cliffs. 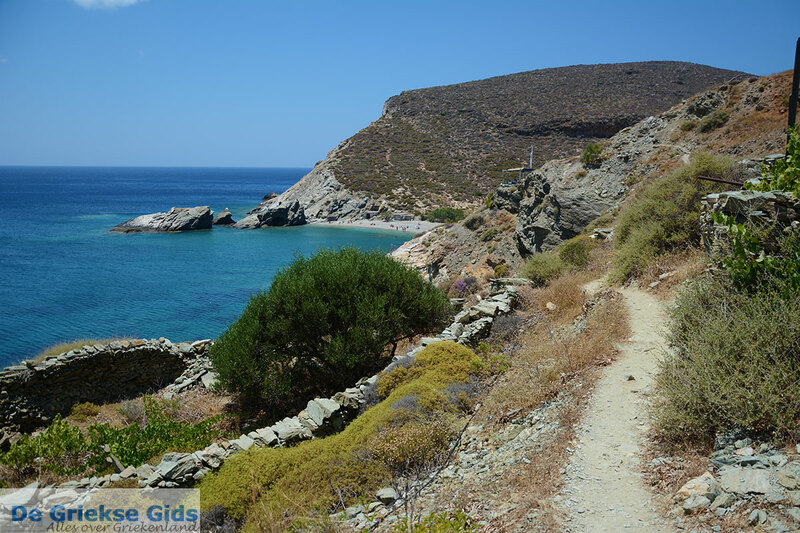 On the other side (north) of Angali, it is about 200 meters (650 ft) to another beach, Galyfos. This is a small pebble beach where mostly nudists swim. You can reach this beach through a trail to the right of the restaurants. 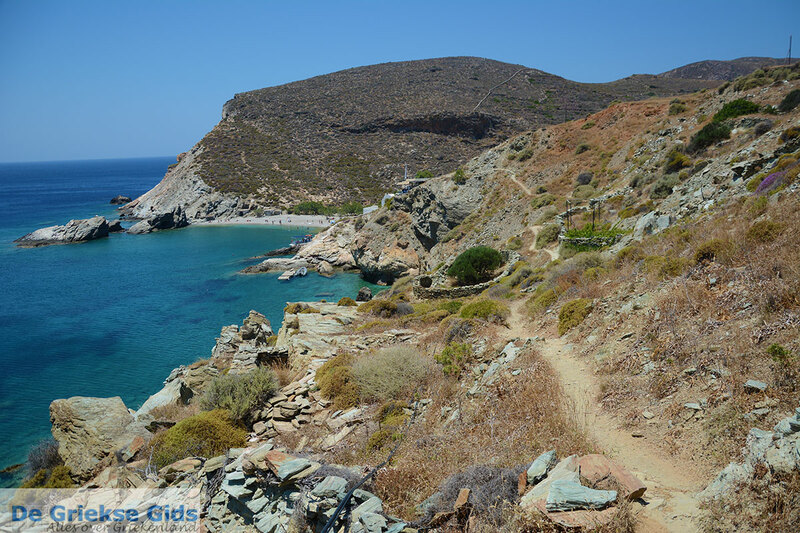 If you walk 1 kilometer (less than a mile) through the same mountain path, you come to the beach of Aghios Nikolaos. On the slopes of the beach is a nice café-restaurant where there is also a souvenir shop. From here you have a fantastic view over the beach and sea. 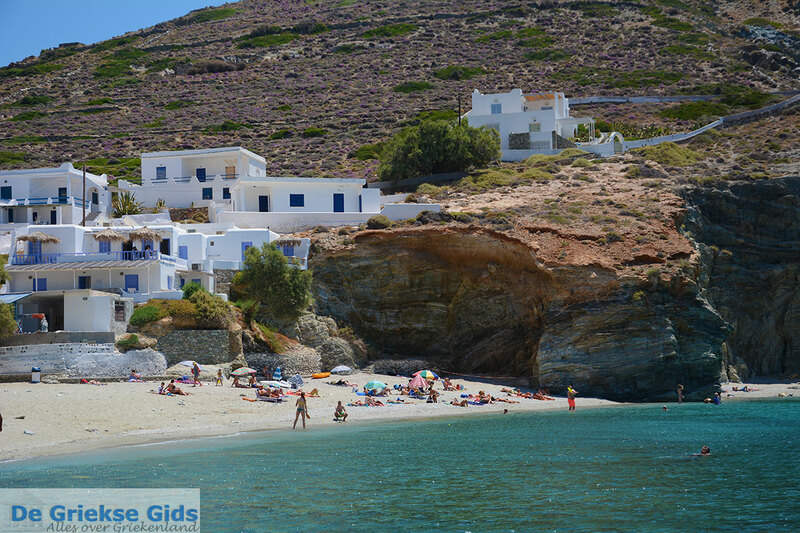 This beach is popular because many tourist boats visit it daily. This beach is not accessible by car. Buses pass through Angali several times a day. 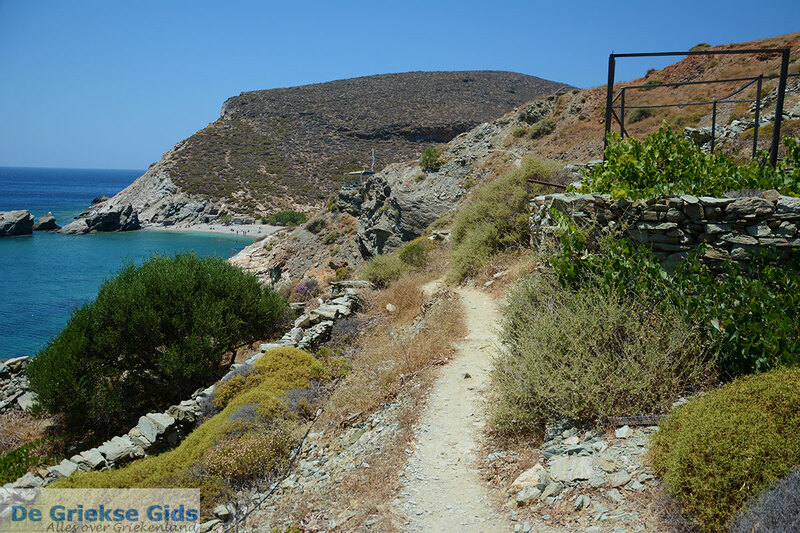 You can also walk there from Chora. It takes about 35 minutes. You don’t need to walk on the road because an offroad trail leads from Chora to Angali. Please note that good shoes are required. 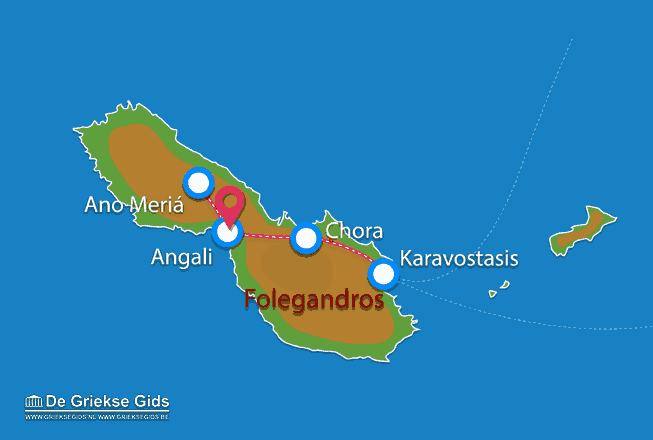 Folegandros: Where on the map is Angali located?